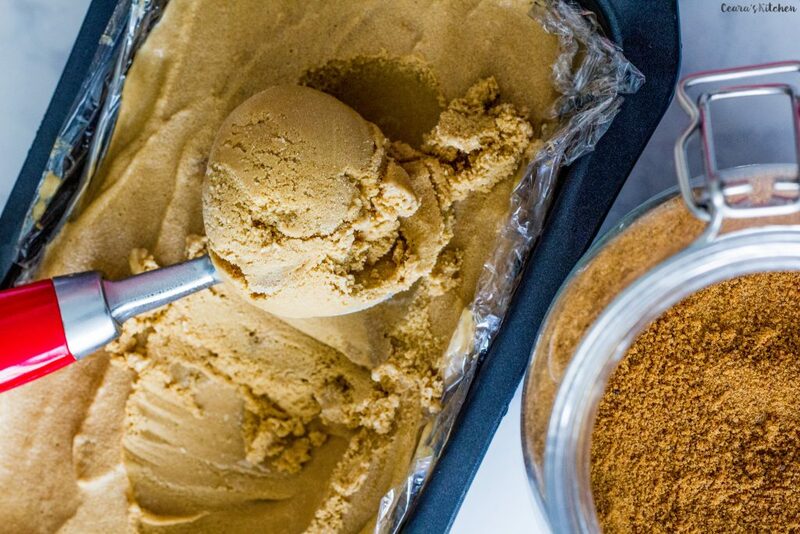 Dairy-Free Coffee Ice Cream made with aquafaba and coconut sugar. The aquafaba makes this vegan ice cream extremely fluffy without the need for any eggs or dairy used in traditional ice cream recipes! Okay, first-off, have you guys started using aquafaba in your kitchen yet? It’s basically vegan magic and it’s found in your can of chickpeas. Ever since aquafaba came into the spotlight, I have been LOVING it in my kitchen and putting it in everything. It works wonders in recipes from savory to sweet. 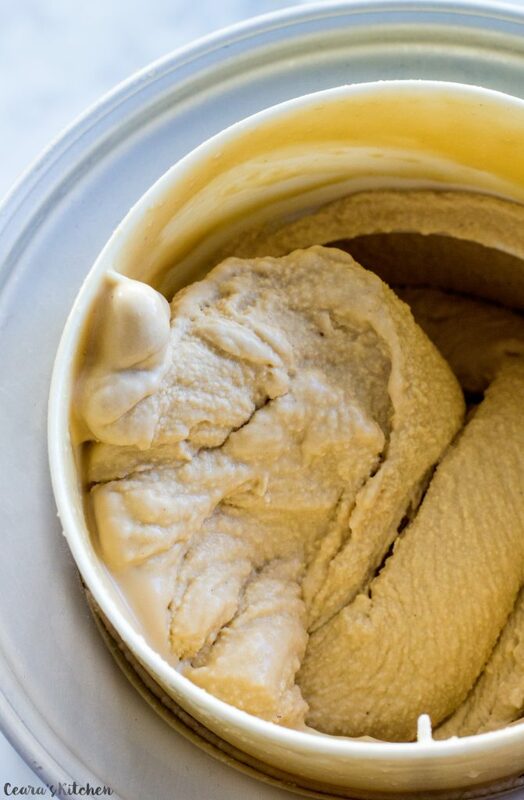 Once you start making Dairy Free Ice Cream at home, you definitely won’t want to go back to the store-bought stuff. 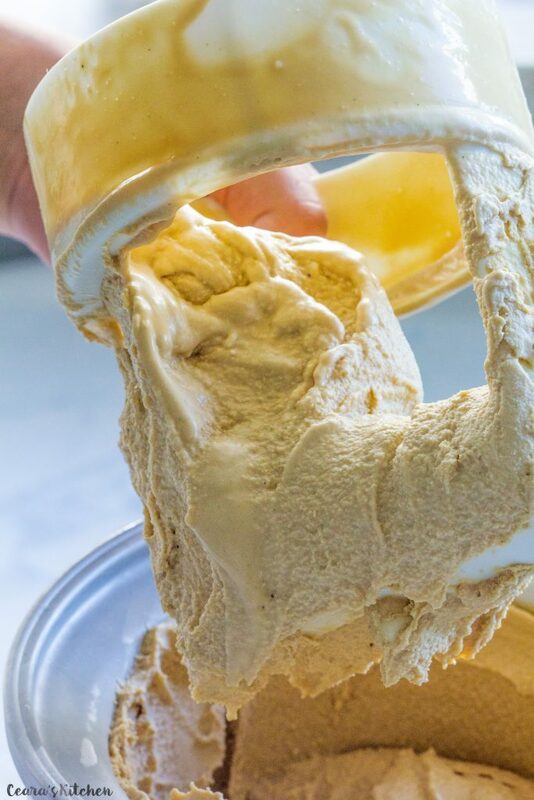 Homemade Ice Cream calls for just a few ingredients (FIVE to be exact in this Aquafaba Dairy-Free Coffee Ice Cream) and all you really need is an ice cream maker. If you don’t have an ice cream maker, I would definitively recommend one, it’s one of my favorite appliances that gets a lot of LOVE in the Summertime. 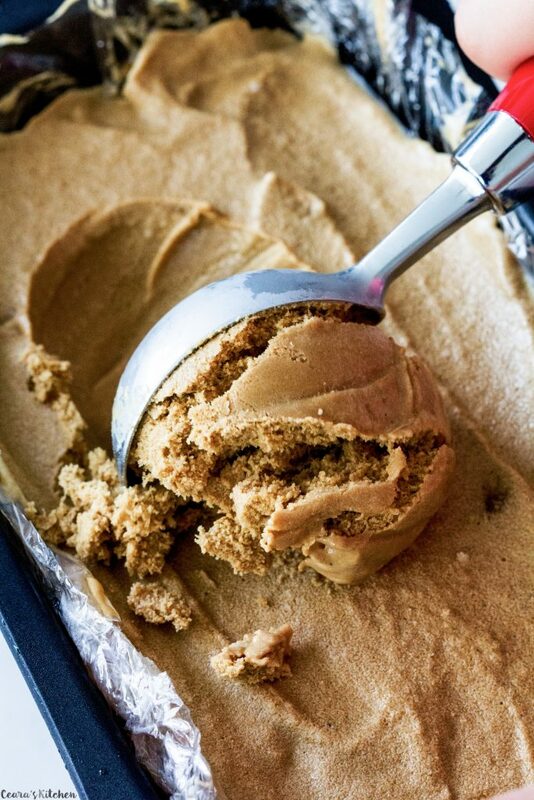 If you make this Aquafaba Dairy-Free Coffee Ice Cream at home, snap a photo and tag me #CearasKitchen on Instagram or leave your feedback below. Happy long weekend, everyone! 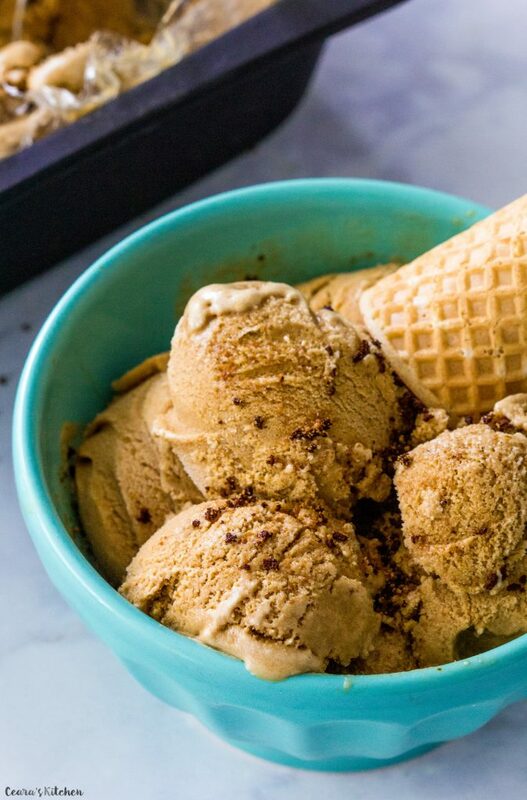 Dairy-Free Coffee Ice Cream made with aquafaba. The aquafaba makes this vegan ice cream extremely fluffy without the need for any eggs or dairy! Sprinkle with coconut sugar to serve. Place coconut milk cans in the fridge overnight. In a large bowl (or [url href=”http://amzn.to/29CSqpD” target=”_blank” rel=”nofollow”]KitchenAid[/url]), whisk aquafaba mixture until fluffy and soft peaks appear. Add the coconut milk, vanilla extract, coconut sugar, and instant coffee to the large bowl. Fold into the aquafaba mixture until combined. Taste test the mixture and add up to 1/2 tsp of sea salt, if necessary. The sea salt brings out the sweetness in the coconut sugar. You will not need it if your aquafaba came from a can with salted chickpeas. Add the mixture to your (frozen – see note) ice cream maker and mix for about 15-25 minutes until your ice cream turns into a soft serve consistency (see photo). Do not over-mix (if you notice your ice cream has begun to melt it is time to freeze it) or else your ice cream will become icy and will not be as creamy. Scoop ice cream into a glass dish (or loaf pan lined with parchment paper/plastic wrap), cover and freeze for an hour or two until the ice cream is completely frozen. 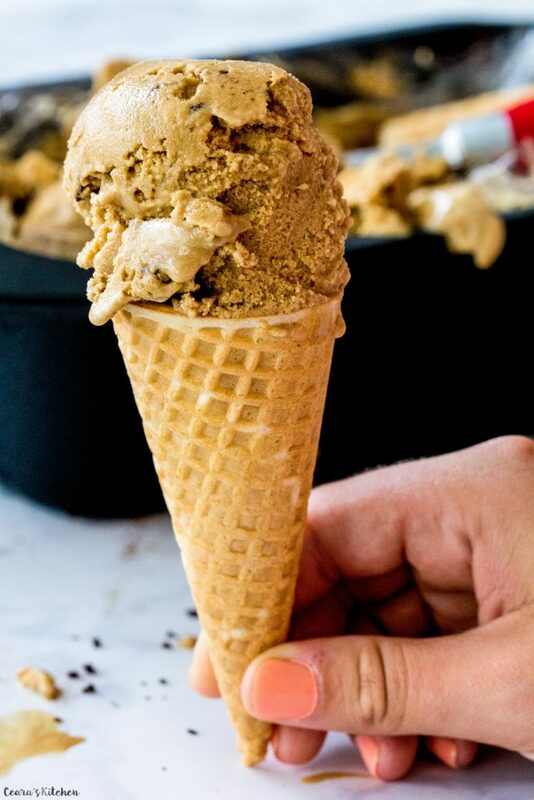 Scoop onto an ice cream cone, garnish with coconut sugar and instant coffee. 1) Use only full-fat coconut milk in this recipe. Low-fat coconut milk will make icy (and not creamy) ice cream. [br]2) Make sure that your ice cream maker bowl is completely frozen before using it to make ice cream. It should be kept in the freezer overnight and there should not be any sloshing sound when you pick it up. [br]3) For the perfect ice cream scoop, take the ice cream out of the freezer and leave to soften for 2 minutes. Run your ice cream scoop under warm water and scoop by pressing hard into the ice cream – this guarantees a perfect scoop every time! I’m going to try your recipe. I’ll use another plant milk, though. Coconut milk from the stores is not good for the arteries. Hi Ceara, I tried this today and it didn’t work out right. The coconut milk was solid, and the little bits never mixed in no matter how long I tried, so the finished ice cream has chunks of coconut everywhere. Would it be a good idea to heat up the coconut milk to bring it back to liquid? Also is it 2 tablespoons or teaspoons of vanilla? My ice cream tastes strongly of vanilla extract and coconut. I used the instant coffee but I don’t taste it in the mixture. Is there any way to substitute regular milk for coconut milk? It’s the only ingredient I don’t have along with a higher budget. I actually used almond/soy milk, and I had my aquafaba in the fridge overnight. It turned out great! Just made this for my daughter who has issues with dairy. Fantastic! Now I want to try it with other flavors. Any suggestions? I used with cacao and cinnamon – tasted like the malts I used to get at the mall when I was a kid. I really liked the flavor. Just tried this morning, and we tested it for the dessert….OMG….incredible!!!! SO GOOD!!!! Thanks a lot for this amazing recipe…I just reduced the quantity of sugar and replace by honey… I might tried using this basis with other flavors! Could I use maple syrup to sweeten this? Or stevia, etc? Is there a way to make this with cashew cream instead of coconut milk? I just can’t handle the flavor of coconut no matter how subtle. It ruins food for me, but love homemade ice cream. Thank you in advance for your reply. Hi Ceara! I don’t have an ice cream maker available to me, so does just freezing it work? Thanks! Just made this and it turned out wonderful. Little tip tho, make sure you mix the coconut milk very well before putting in ice cream maker or it will have chunks of coconut milk in the finished product. Thank you Ceara for the recipe! Will make again! 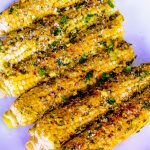 This recipe is fantastic as is! That’s truly a challenge to find on the internet. I use Dandy Blend instant “coffee” and it worked great. This ice cream is scoopable directly from the freezer, which makes it better than any other ice cream recipe I have. Thank you! Thank you for this recipe! I can’t wait to try it. One question: What is the yield? My beloved Donvier ice cream maker is a pint size, so I’ll cut the ingredient amounts in half if this recipe yields a quart. Do you have any idea if this would work with soy milk instead? 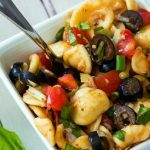 My kids are allergic to diary, coconut, cashews, and almonds so I’ve been trying to find something to work for them! HI CEARA!!! Can I use regular coffee as I don’t use instant? I am not sure how regular coffee would work since the granules would not melt like they would for instant when churning the ice cream. And using coffee would mean too much liquid. You could try maybe a shot of cold espresso? I have not tried it myself though so can’t vouch for it! Would love to know how it turns out. Enjoy! Is it 2 cans or 3 cups? because 1 can equals 1 3/4 cup , 2 cans would equal 3 1/2 cups. It’s 3 cups full day coconut milk and 1/4 cup aquafaba! Ceara! This is our fav iceceam! Great recipe! When you say 1/4 cup instant coffee, do you mean the liquid or granules? Hello! I pinned this recipe months ago and just got an icecream maker for Christmas, so am excited to finally make it!! I just want to clarify- 1/4 cup of instant coffee- do you mean to add 1/4 cup of the instant granules or 1/4 cup of prepared coffee? Thanks so much! How to make coconut sugar at home? My coconut milk is half-solidified from being in the fridge.. This is turning into a big mess. Should I have “thawed it” first? What is the point of putting it in the fridge? I shook the cans of coconut milk and then put them in the refrigerator for a day. When I opened them, there was a lot of separated coconut oil that was really hard from being chilled. I stirred together everything but the whipped aguafaba before folding it in. I put a lot of work into crushing and mixing in the hard oil, but there were still some crunchy chunks of coconut oil in the finished product. If I make this again, I’ll mix WARM coconut oil, sugar, coffee and vanilla extract until smooth, then refrigerate that mixture overnight before whipping the aguafaba, folding it in, and freezing. I hope that will solve the problem of the hard chunks of solid oil. The flavor was good. I’m not a big fan of coconut (I always use “refined” coconut oil to avoid making things taste like coconut) but the strong coffee flavor covered that pretty well, plus the coconut sugar didn’t taste coconutty to me. 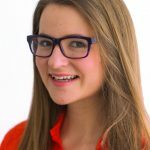 Hi, is there a sugar free substitute you could recommend? You could try flavoured stevia, like this one? But the sugar might help with the texture, so give it a go and see how it turns out!